This shelving unit comes in a house shape design that adds a fun and quirky look with a hint of rustic charm. With 2 drawers for storage offering a great storage solution for a retro, modern or Scandi style interior. 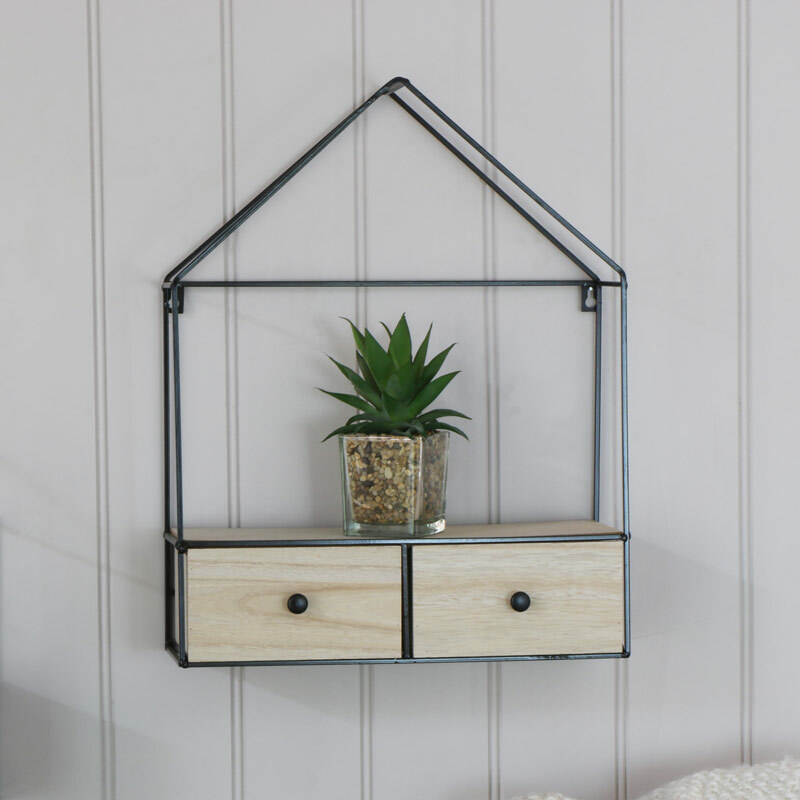 Offering the perfect home for ornaments, trinkets or plants with the added bonus of 2 drawer storage for all those little bits and bobs. This would be ideal for adding a funky look to the living room, hallway or bedroom. This shelving unit comes in a house shape design that adds a fun and quirky look with a hint of rustic charm. With 2 drawers for storage offering a great storage solution for a retro, modern or Scandi style interior. 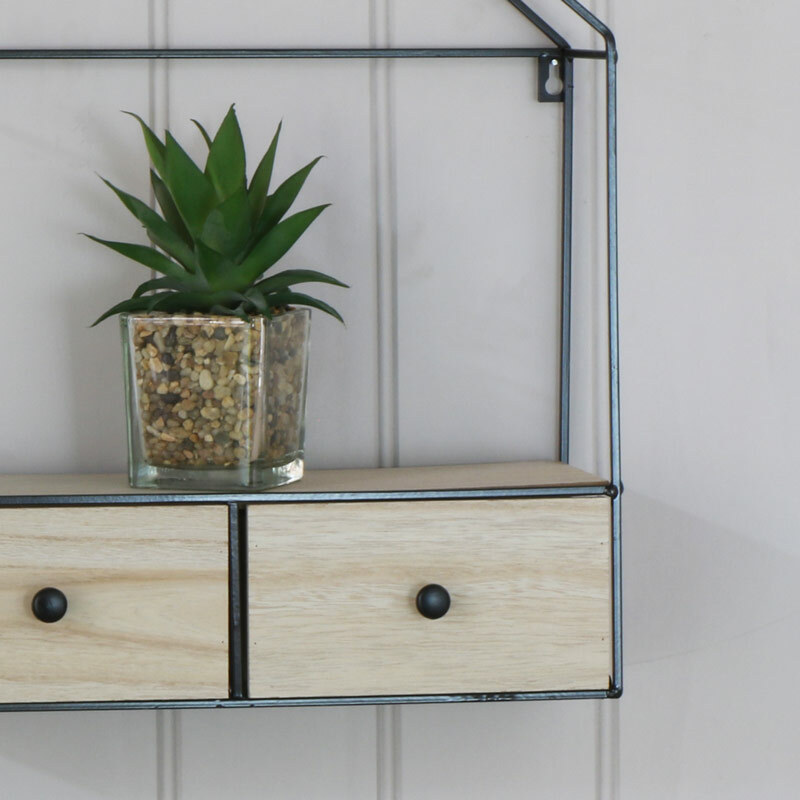 Offering the perfect home for ornaments, trinkets or plants with the added bonus of 2 drawer storage for all those little bits and bobs. This would be ideal for adding a funky look to the living room, hallway or bedroom.